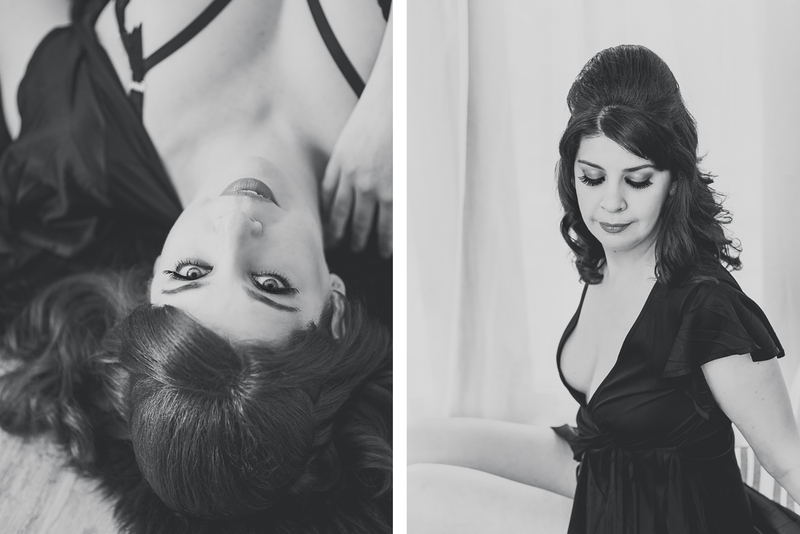 I am a huge fan of vintage lingerie, so when Ms M mentioned that she was bringing a few of these items to her boudoir photography session I was pretty excited! Not only did she bring an amazing selection of lingerie from the 60’s and 70’s, but some recent ‘Dita Von Teese’ lingerie styles. Cue squeals of girly delight! Amongst this selection I was ridiculously excited to see a pair of fluffy pumps circa 1960’s! 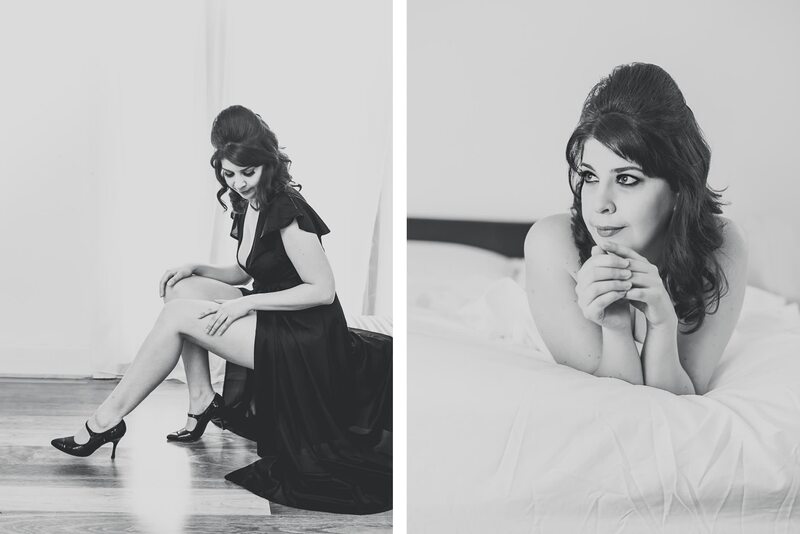 Ms M choose to have her hair and makeup professionally created, thanks to the lovely Melissa, in a Brigitte Bardot inspired, beehive updo, with smokey eyes and striking lashes. It was amazing watching her being transformed, as she elegantly sipped champagne. The final look was gorgeous, and Ms M’s hair almost needed a separate postcode – win!